I cannot resist entering this photo in the Weekly Photo Challenge. It’s me, sitting in a jail cell all by myself, writing in my journal. 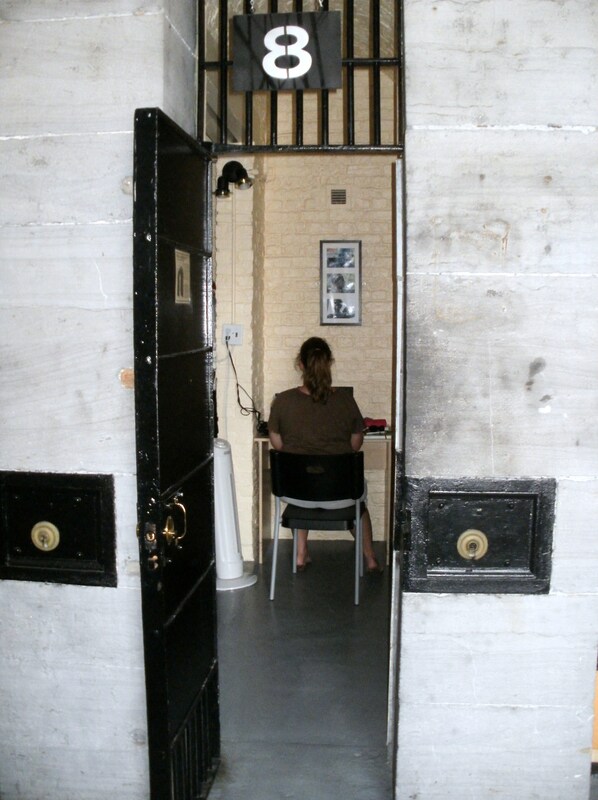 You may recognize the cell from my post on staying at the HI-Ottawa Jail Hostel. now that really is solitary! Thanks! This picture immediately came to mind when I read this week’s theme. Thank goodness the door is open! More than that, thank goodness no one snuck up on me! That look like a movie still. Thanks! My husband took this picture. Thanks! I’m passing along the compliments to my husband since he took the picture. Which I always thought I might enjoy…for a day.